What Do Relapse Numbers Mean? After Rehab: What Does Recovery Look Like? How Do You Identify Effective Treatment? What is the standard rehab success rate? A better approach involves judging the actual quality of care a facility provides, both during and after the formal treatment period. 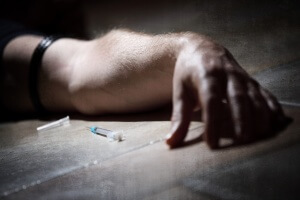 Drug overdoses have become the number one cause of injury-related death in the United States, killing an average of 44,000 people every year, according to Medscape. The Centers for Disease Control estimate that 114 people die a day because of drugs (TIME magazine offers a much higher estimate), and 6,748 will be sent to hospital emergency rooms for treatment. While addiction and substance abuse are undoubtedly major problems in the US, a survey conducted by the Substance Abuse and Mental Health Services Administration found that as many as 90 percent of people who most need drug rehab do not receive it. With such a desperate need for solutions, what results can be expected from treatment? What are rehab success rates and statistics? The answer is not very straightforward. According to TIME magazine, there is no standard definition of “rehab,” so there is no standard metric of success for rehabilitation centers. Some facilities simply measure how many of their patients complete their programs; others consider sobriety in the follow-up months and years after “graduation” as the threshold for success. Some facilities, for example, tout success rates in the 90th percentile, but this can be misleading; there are often very flexible criteria for what defines that kind of success. How such facilities deal with the ever-present topic of relapse, and further rounds of treatment, is left unsaid or not comprehensively addressed. That ambiguity goes a long way, with the Washington Post claiming that despite America’s addiction to rehab, it doesn’t work for many people. Some programs are failing alcoholics, according to the Post, because when the person relapses, the program places the blame squarely on the shoulders of the patient, absolving itself of any culpability or weakness. Since many treatment centers do not follow up with their patients, the “100 percent” success rate some cite only applies to those who complete the length of their stay. Even those who boast a more modest “30 percent success rate” only draw that figure from the immediate sobriety rates after treatment, not from six months or three years down the road. Scientific American looks at the often-cited problem with formalized treatment programs: so many people who attend them suffer relapses. In examining the now-famous case of singer Amy Winehouse, who died from alcohol poisoning after years in which she “cycled in and out of rehab,” the magazine interviewed Bankole Johnson. Professor of neuroscience at the University of Virginia School of Medicine and author of Addiction Medicine, Johnson has worked on developing the latest generation of medication-based approaches to addiction. Johnson tells Scientific American that he believes traditional “self-help” rehabilitation – referring to 12-Step and/or therapy programs that look askance at pharmaceutical solutions – is not particularly effective. He feels that medicines should be in the treatment mix wherever they can be helpful. When asked what he would call the medication-based approach, Johnson stressed that medications can often be more effective than psychological therapy on its own. Johnson also points out myths that tend to feed the self-help model, including the idea that one must hit “rock bottom” before entering treatment. Joining Johnson’s voice, many who object to the rigid principles of 12-Step programs (for example surrendering to a higher power), point to cases of “spontaneous recovery,” as evidence that 12-Step is only one approach in the mix. Many cite a small 1985 Journal of Studies on Alcohol study in which drinkers were able to walk away from their behavior of their own volition via a combination of willpower, developing a physical aversion to alcohol after bottoming out, and experiencing some kind of life-changing experience to support the idea that 12-Step or rehab in general isn’t a must in every case. Much is made of “spontaneous recovery,” and many attempt to generalize this ability over the larger alcoholic population. More recent studies even suggest that there may be tiers of addiction, and that “less serious” cases may be able to self or spontaneously recover, while others, deemed more severe, will benefit from treatment. But it’s important to recognize that the Journal of Studies on Alcohol and Drugs study also showed that thought patterns related to ongoing sobriety involved negative associations with drinking. Again, this is a small study of 29 cases. While it doesn’t support the notion that willpower is the answer, nor that rehab doesn’t work, it does add support to the notion that successful recovery can vary widely from one individual to the next. This is echoed in Johnson’s suggestion that the treatment emphasis should be on the best treatment for the individual and the situation. The Spontaneous Recovery Studies suffer from differences in the definitions of important terms such as “addiction,” “treatment” and “recovery.” The use of reports of past behavior and relatively short follow-up periods are problematic as well. Other puzzling data show that pretty consistently across programs and addictions, the greatest amount of change occurs early in treatment. Arguments on both sides of the “does rehab work?” question have used this data. Either rehab is not helping at all, or rehab is now necessary to carry these “easy” gains beyond the early “easy” stages. Looking for answers to this question, TIME writer David Sheff, who almost lost his son to drug addiction, spoke to Joseph A. Califano, Jr., former Secretary of Health, Education, and Welfare and founder of the National Center on Addiction and Substance. Califano told Sheff, “The therapeutic community claims a 30% success rate, but they only count people who complete the program.” Califano adds that the other 70-80 percent have dropped out by the 3-6 month marker. Sheff’s own son spent six years racking up treatment programs, 10 or 11 of them in all, both inpatient and outpatient. “I thought he might die,” writes Sheff of the experience. Like Johnson, Sheff points to outdated philosophies and one-size-fits-all programs as reasons for the ineffectiveness of so many programs. The successful approaches, in Sheff’s assessment, “don’t rely on best guesses or tradition.” Like Johnson, Sheff sees hope in treatments that are “evidence-based treatments (EBTs)” and facilities that emphasize research-based therapies, such as Cognitive Behavioral Therapy, Motivational Interviewing, and Contingency Management, in addition to medication. Sheff and Johnson come to similar conclusions from different directions – the idea of a medication-behavioral cocktail designed for the specific nature, addiction, and life situation of the individual. However, this is far from an “answer” for relapse. These more holistic approaches may increase success rates of a treatment program, but they still leave that critical post-treatment year or two unaddressed. One solution, especially if pharmacological results deteriorate over time, as some studies are starting to show, is the treatment alumni program. If an individual is not receptive to “a higher power,” the basis of 12-Step support groups, the person has few options for long-term support, besides ongoing therapy. 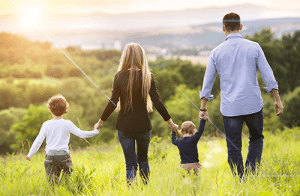 Depending on the addiction and the individual, elements such as support, mentoring, and community can be an important determinant of a person’s continued recovery. If Winehouse’s antithetical song “Rehab” is any indication, the individual has to buy in to the support system, whatever it may be, in order for it to serve as a viable hedge against relapse over the long-term. Many treatment centers and facilities offer alumni programs that allow program graduates to stay involved for years to come. Alumni programs provide accountability and allow individuals to remain actively involved in a supportive recovery community. A good rehab will help the individual to cultivate or connect with this type of community during treatment because that gives the individual the best chance for continuity upon leaving rehab. For Sheff, who spent years searching for the right rehab facility for his son, successful recovery involves ongoing sessions with a psychiatrist who treats his son for all conditions – his bipolar disorder, addiction, and depression. The New York Times writes that state and federal governments spend in excess of $15 billion (and insurers contributing $5 billion more) on substance abuse services. The Times goes on to confirm that it’s difficult to measure the effectiveness of these services. This is one reason it’s important for individuals to choose rehab centers that have a measure of official accreditation. The Commission on Accreditation of Rehabilitation Facilities, known as CARF, is a nonprofit organization that offers accreditation of rehabilitation and behavioral health centers. In order to receive a CARF accreditation, facilities must meet a variety of requirements. A CARF-accredited facility must demonstrate the use of high-quality programs and that treatment is tailored to each individual. The insidious nature of addiction adds to the problem of defining success in rehab. Some patients simply go through the motions of treatment, doing and saying anything just to graduate from their program, if it means getting back into the outside world where they can resume their drug consumption. But since they finish treatment, it’s enough for the facility to consider this a “success” story. As a result, it’s essential that rehab centers use a different definition of success rather than simply finishing the program. Rehab facilities that are worth the investment are those that utilize research-based therapies and that staff professionals in the field. Inquire about the qualifications of staff members as well as the specifics of the therapies offered – and their scientific basis – prior to committing to a particular program. Rehab counseling at some centers is often practiced by “veteran counselors” who overcame substance abuse problems of their own. These counselors may fervently believe in their methodology, even as state governments (like Oregon) have started to cast a skeptical eye on some in the industry. The Times writes that one solution to the problem may be marrying the research-based treatments of Cognitive Behavioral Therapy with “practice-based evidence,” using the experience of long-time counselors with the scientific backing of more accepted and established programs. In Delaware, the state’s Division of Substance Abuse and Mental Health established incentives for treatment facilities that used benchmarks, such as following up with patients, conducting urine tests, and monitoring the patient’s functioning at home, work, and school after treatment. In 2001, rehabilitation programs in Delaware were operating at 50 percent capacity, with 53 percent of patients attending regular treatment meetings; five years later, they were running at 95 percent capacity, with 70 percent of patients going to sessions. Offering different treatment dynamics: individual therapy, group therapy, family therapy sessions, etc. Of course, one of the best ways to determine the potential success of a program offered by a treatment center is to ask questions. A center that cannot satisfactorily answer inquiries about how its success rates are calculated (Is it the number of people who merely begin a program? Complete a program? Participate in aftercare?) may not be of the best quality. Those seeking rehab should be especially cautious of any program that advertises to “cure” addiction. As addiction is a relapsing, chronic disease, per NIDA, there is no cure. The condition can be managed, and lifetime recovery is possible, but there is no magic treatment that will make addiction disappear. Rather than putting an arbitrary label on what defines true success in recovery, it’s important to appreciate each day in recovery as the successful experience it is. Long-term recovery and sustained sobriety are achievable for everyone who is struggling with addiction or substance abuse issues. With proper guidance and support, recovery can be reached and sustained.